CRITICAL evidence was contaminated after Australian Federal Police failed to promptly board a now-notorious Japanese ship following the disappearance of a crewman at sea. 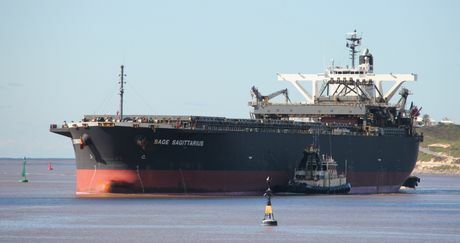 The AFP intended to examine the Sage Sagittarius - now dubbed the 'death ship' - on the same day as the ship's owners on September 3, 2012. But a curious set of circumstances meant the AFP did not board until four days later. By then, evidence on the ship was contaminated, according to the AFP. 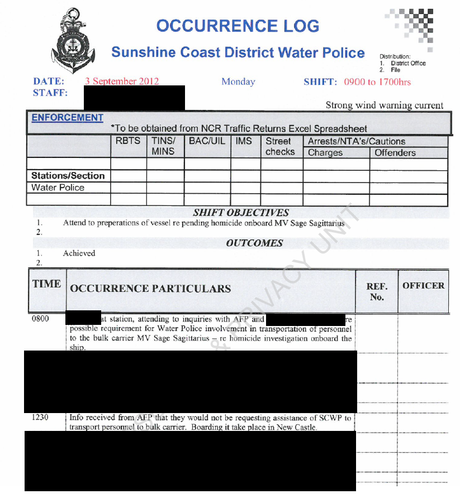 At 8am on Monday, September 3, the AFP flagged to Sunshine Coast Water Police that its officers needed help boarding the Sagittarius for a homicide investigation on board. 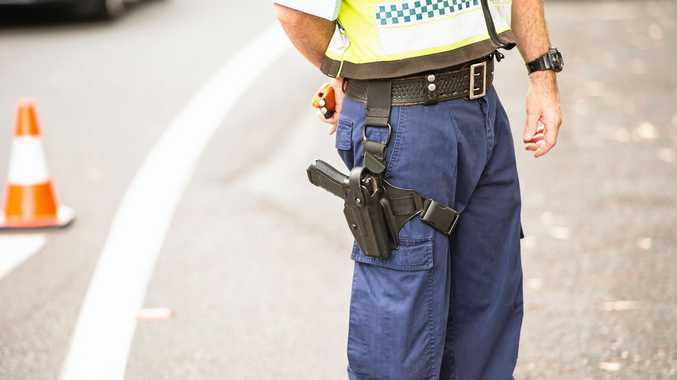 But four hours later the AFP told the Sunshine Coast police to stand down. The AFP later revealed it had planned to deliver officers to the Sagittarius by helicopter but staffing issues and rough sea conditions meant the strategy was "not feasible". The ship's owners, however, were able to land on the ship that same day. AFP case officer Detective Sergeant Nuckhley Succar told an inquest this year the initial boarding had been cancelled because of rough seas and staff shortages. The decision not to board, but to wait four days and until the ship entered New South Wales waters, meant evidence on board was contaminated. Det Sgt Succar said by the time his team examined the ship at Port Kembla on September 7, they found "there were already issues with contaminated evidence". The executives on board worked with Captain Venancio Salas Jr to have all crew members write statements about the incident prior to AFP officers interviewing potential witnesses. Capt Salas has since admitted to running guns on board the ship and physically assaulting one of the junior crew members. The chief cook was the first of three deaths that occurred on board the Sagittarius over five weeks in late 2012. Chief engineer Hector Collado would fall 10m to his death two weeks after the cook disappeared. On October 6, Mr Monji - the company executive who boarded in September - would be crushed to death as the Sagittarius docked in Japan. A coronial inquest into two of the deaths on board will resume later this year. The AFP declined to comment while the inquest was ongoing.